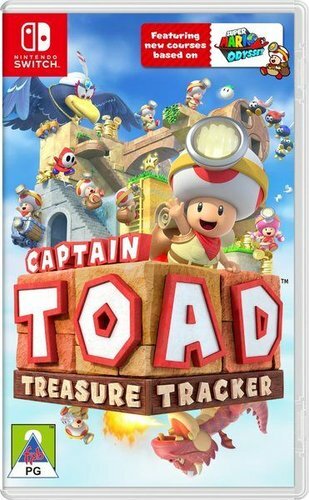 The intrepid Captain Toad sets off on his own adventure for the very first time on Nintendo Switch through a wide variety of tricky, enemy-infested, maze-like stages to find hidden gems and nab elusive gold stars. Explore a variety of tricky sandbox-style levels inspired by Japanese box gardens called Hakoniwa. And, this time, we’ve included a few Super Mario Odyssey levels, too! Now you can explore locales from a variety of kingdoms – like New Donk City! You can rotate the camera and touch the screen for a better view of hidden treasures!